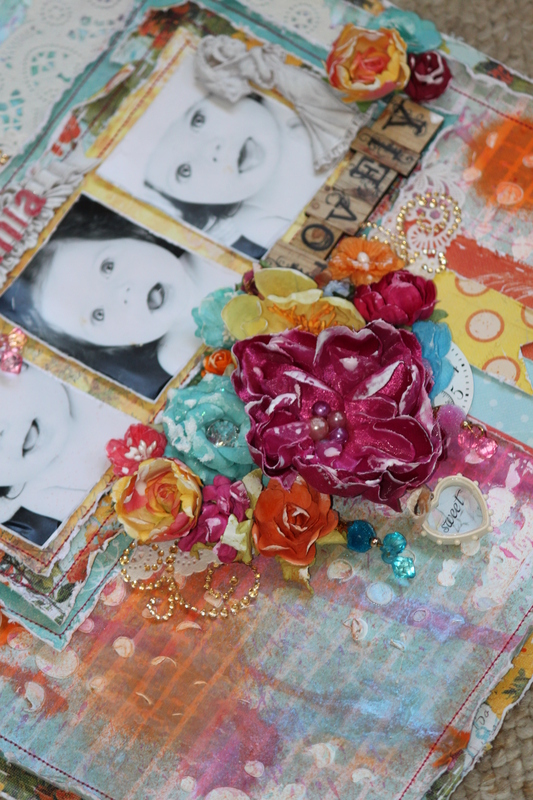 I have changed it up a bit because I just love to add lots of yummy layers but you can still see that my inspiration comes from the sketch. 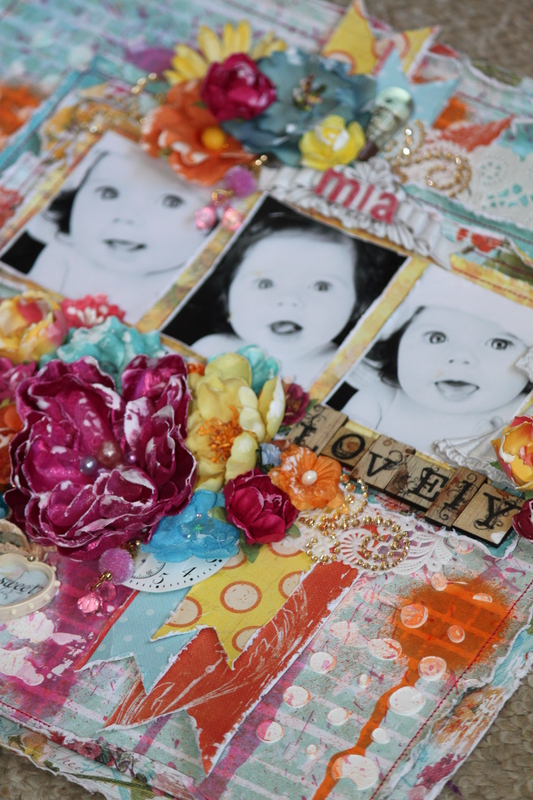 I have used the gorgeous Zephyr Collection along with a Prima Donna Downey Stencil, Gesso, Dylusions Ink Sprays, Lindys Stamp Gang Starburst Sprays and some Glimmer Mists. 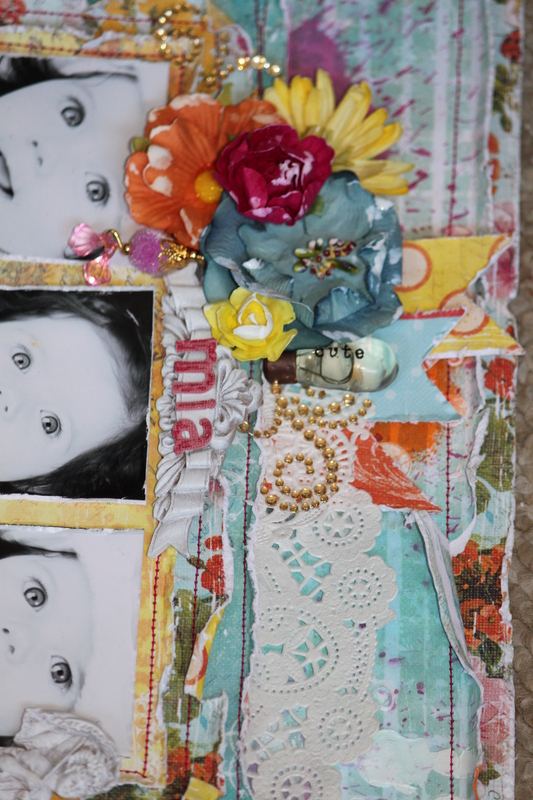 I have added some Gesso to the tips of the gorgeous bright flowers to subdue them a tad. 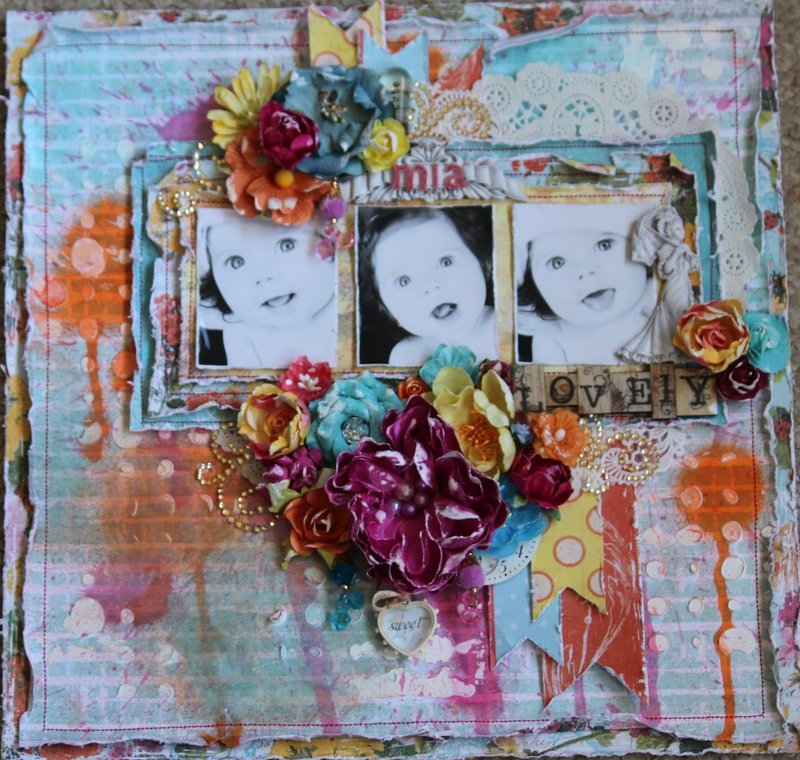 I just love the Shabby Style of this layout but with such bright vibrant colours. Well that is it from me today, be sure to head on over and checkout my big Giveaway over here.